Andre Roussimoff is known as both the lovable giant in The Princess Bride and a heroic pro-wrestling figure. He was a normal guy whod been dealt an extraordinary hand in life. At his peak, he weighed 500 pounds and stood nearly seven and a half feet tall. But the huge stature that made his fame also signed his death warrant. Box Brown brings his great talents as a cartoonist and biographer to this phenomenal new graphic novel. 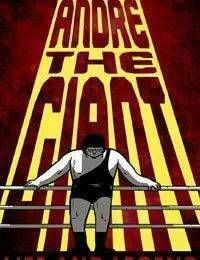 Drawing from historical records about Andres life as well as a wealth of anecdotes from his colleagues in the wrestling world, including Hulk Hogan, and his film co-stars, Brown has created in Andre the Giant, the first substantive biography of one of the twentieth centurys most recognizable figures.